I was recently able to rent a Sig P365 at my local range. My expectation was that I would really like this little semi-auto, striker-fire pistol chambered in 9mm enough to want to buy one. 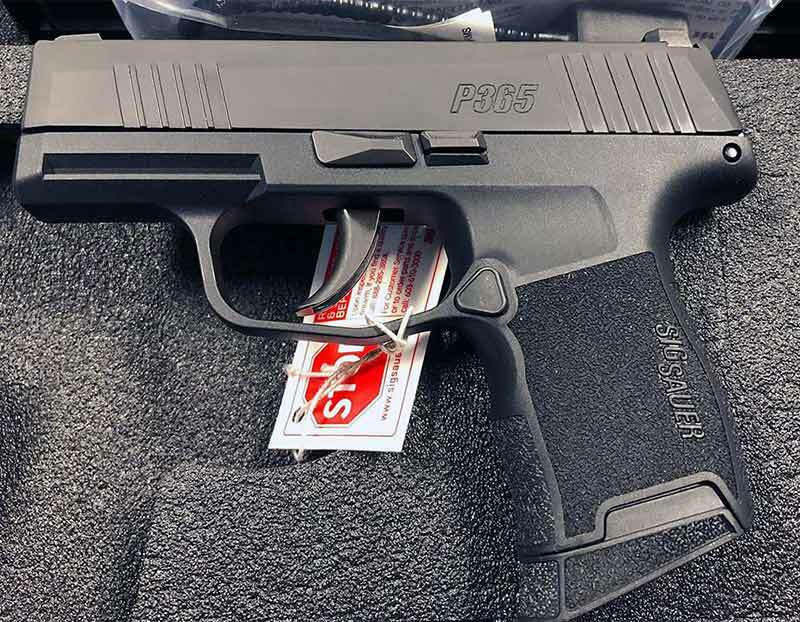 After all, Sig Sauer has a well-earned reputation for making high quality firearms, and certainly, the P365 is no exception. My wife and I have a few Sig P238s and they are just dynamite little pistols if you enjoy carrying/shooting small guns (too small for my tastes), but of course, they are chambered in .380 ACP, not 9mm. Having shot 200 rounds of Fiocchi 9mm, 115 grain FMJ, I was surprised to discover that I really did not enjoy shooting the Sig P365. Why? To begin with, for a 9mm pistol, it is really quite small (and light, weighing just 17.8 oz. ), and not surprisingly, a bit snappy. Another thing I didn’t like was that the bottom rear corner of the grip has a sharp edge, which kept digging into the palm of my right hand as I shot it. Admittedly, I do have soft hands…working behind a computer all day doesn’t exactly toughen up the palms of your hands, but it also makes for a less pleasant shooting experience with the P365. 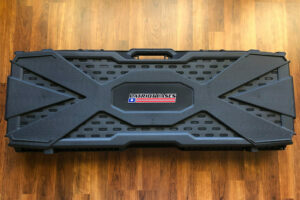 However, using the 12 round magazine provided a more comfortable shooting experience. I definitely understand why the P365 is in high demand, because by the numbers (less weight, respectable capacity and smaller dimensions) along with its crisp trigger, accuracy and ergonomics, it’s clearly in a class by itself. The Sig P365 is indeed a very small gun. With an overall length of just 5.8″, it’s not much longer than its little brother, the Sig P238 (5.5″). 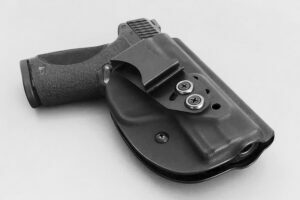 The height of the P365 with the flush, flat bottom 10 round magazine is 4.3″ which oddly enough, is identical to that of the original M&P Compact 9c with flush, flat bottom 12 round magazine. Of course, with the 10 round pinky extension magazine or the 12 round extended magazine, the P365’s height increases. Coincidentally, it looks to me that with the 12 round magazine, the height of the P365 comes close to that of my EDC, M&P Compact M2.0 3.6”. Of course my M&P Compact is 1 inch greater in overall length, a little thicker and heavier too. Reliability. After shooting 200 rounds of Fiocchi 9mm, 115 grain FMJ, I experienced no failures whatsoever. Trigger. Trigger is crisp with an audible and tactile reset. Grip Texture. The P365 has a good grip texture (not too abrasive) that enables you to get a solid grasp on the grip. Handling. 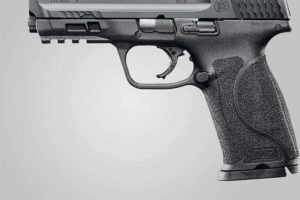 The Sig P365 seems to use a grip angle like the M&Ps which makes point of aim comfortable and natural. Accuracy. I find the Sig P365 to be very accurate. Recoil. As you might expect, recoil is a bit snappy, but not uncontrollably so. I recommend that you try it before you buy it. 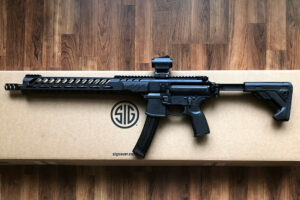 I am glad that I did because it made me realize that this is not a gun I want to buy. I definitely understand why the P365 is in high demand, because by the numbers (less weight, respectable capacity and smaller dimensions) along with its crisp trigger, accuracy and ergonomics, it’s clearly in a class by itself. 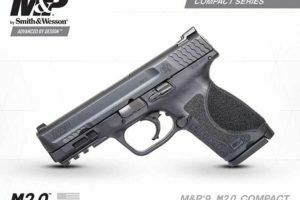 However, I simply prefer something a little more substantial to hold on to with a little less snappiness (and having a few more rounds of capacity is always nice too), which is why I’ll stick with my M&P Compact M2.0 3.6″. 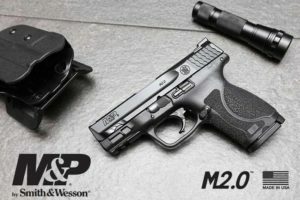 Previous ArticleSmith & Wesson M&P M2.0 3.6″ Compact Semi-Auto PistolNext ArticleSmith & Wesson M&P 380 Shield EZ: Should You Get One?